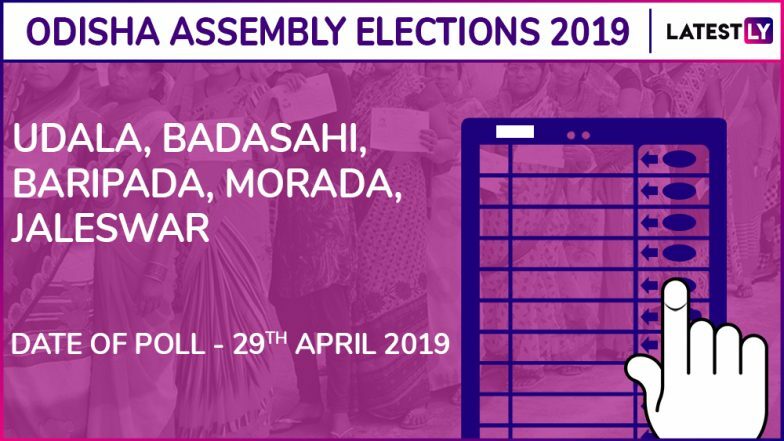 Udala, Badasahi, Baripada, Morada and Jaleswar are among the 147 constituencies being contested in the ongoing Odisha assembly elections 2019. These five constituencies will be contested in the fourth phase of the elections, scheduled to be held on April 29. Voting will be held in the above vidhan sabha seats between 7am in the morning to 5pm in the evening. Check Full Schedule of Odisha Assembly Elections 2019 Schedule. Results of 2014: In these 5 seats, the electoral contest was completely dominated by the Biju Janata Dal (BJD), whose candidates had emerged victorious in all of the above constituencies the last assembly polls. However, one of the sitting legislators jumped ship to the Bharatiya Janata Party (BJP) ahead of the polls. Out of these assembly segments, two - Morada and Jaleswar - fall under general category; Udala is reserved for scheduled tribes (ST); Badasahi and Baripada for scheduled castes (SC).